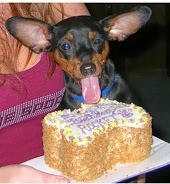 How Can I Go Bentley's Corner Barkery - Arlington Heights? 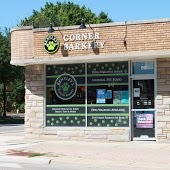 Where is Bentley's Corner Barkery - Arlington Heights in Arlington Heights on the Map? Best place ever! They are SO nice and friendly but also know everything about their products. Plus they have some natural remedies for animals too. My dog is super shy but now is so happy and excited to visit! natural and healthy foods for dogs and cats, especially if your pet is on a restricted diet or has special needs. They really care about your animals and have given me samples for my picky hyperthyroid cat to try. Thank you for being available for people who really try to give their pets the best! This place is absolutely fantastic. The owners are incredibly warm and helpful, as are the staff. Everyone remembers our puppy by name when we go in there! Furthermore, the selection of grain free foods for our dog (as well as our cat!) are fantastic. Their prices are very reasonable for the quality of foods and products you are purchasing. I can't recommend this store enough! The staff is incredibly friendly and helpful. My dog loves going in there and checking out all the treats and toys, and the staff knows her name. They have even searched and ordered a specific ball (solid rubber and indestructible!) for my dog when it had been discontinued. They are always willing to answer any questions you may have about your pet's diet, etc. Love this place!